!New! To treat or not to treat? All peatlands share some common characteristics; one of the most salient is that they contain large amounts of organic matter. There are, however, several different types of peatlands that reflect the particular circumstances of their formation and composition. Boreal and temperate peatlands are very different from tropical peatlands. Similarly, high-altitude peatlands differ significantly from those found at low altitudes. Summary of differing peatland characteristics around the world is provided by Vasander 2014. Tropical peatlands have one of the highest labile carbon densities of all terrestrial ecosystems and thus they can dynamically contribute to the atmospheric processes. Lowland peatlands in Southeast Asia cover 24.78 Million hectares (Mha), which is 56% of the tropical and 6% of the global peatland area (Page et al. 2011). Their high peat carbon density, however, gives rise to the large regional peat carbon store of 68.5 Gt, equivalent to 77% of the tropical and 11–14% of the global peat carbon store (Page et al., 2011). Major peat areas (in red) in Peninsular Malaysia, Sumatra, Borneo and Papua. 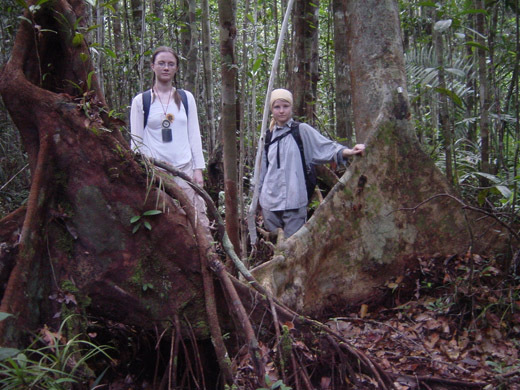 Tropical peat swamp forests have sequestered carbon dioxide (CO2) from the atmosphere nearly 30 000 years. Both the vegetation and especially the underlying deep peat constitute a highly concentrated labile carbon pool of global significance. The record peat deposits are over 20 m thick, but even the mean peat depth of ~5 m exceeds the average thickness of peatlands at higher latitudes (for example our boreal peatlands in Finland are ~1.2 m thick). It has been estimated that the tropical swamps form about 11% of the global peatland area, the amount of the carbon in tropical peat can form close to 20% of carbon of all mires or represent between 5% and 6% of the global soil carbon pool on our planet. Large part of the plant biomass produced by wet environment adapted peat swamp forest vegetation, especially litter from tree roots, becomes soon allocated to largely water saturated (or during wet season flooded peat) in which condition the organic matter decay is slower. This creates potential for dead organic matter accumulation i.e. peat formation from decaying debris. Because the balance between the amount carbon allocated from the atmosphere into vegetation (in photosynthesis) and stored in peat in form of decaying litter exceeds the amount of carbon released back to the atmosphere as greenhouse gases (as CO2 or CH4 (or non-carbon N2O)) by vegetation respiration and by organic matter decomposition in the forest floor – the ecosystem accumulates carbon. The main peat carbon dynamics involved processes are presented on the page ‘Carbon and greenhouse gas dynamics in peat‘. This carbon net sequestering action reduces the amount of carbon in the atmosphere (and thus works for weakening the greenhouse effect). Due to massive labile carbon deposits formed into peat over several millennium, tropical peatlands have a marked role in the atmospheric carbon composition regulation. Until the early 1980s, these peatland forests remained relatively unexploited, with other forests and lands sufficiently plentiful to satisfy human needs. Now, several decades lasted development of these peatland areas has been carried out without adequate knowledge of the natural resource functions of the peatland ecosystem or an understanding of its associated environmental and socio-economic values. Large-scale deforestation and drainage of combined, in many locations, with repeated fires has led to both environmental, social and economic impacts in these areas and surrounding regions. Peatland use for agriculture requires deforestation to provide space and light, and drainage to improve oxygen availability for the roots of cultivated plants. Simultaneously, improved aeration in the peat profile promotes decomposition of topmost peat and deposited litter. The litter quality and litter deposition rates in the replacement cropping-vegetation differ from the characteristics and feed of forest vegetation litter, and carbon allocation from the cropping vegetation is not sufficient to compensate losses caused by decomposition of organic matter in drained conditions (see the latest IPCC report dealing emissions from drained tropical peatlands). Due to land use change in tropical peatlands (felling, drainage and substitute vegetation growing), each carbon sink forming undrained forest ecosystem transforms into net carbon emitter to the atmosphere (enhancing the greenhouse effect). Impacts of deep draing in recalimed peatlads, also excessive use of fertilization and regular soil tilling needed in some cropping systems likely enhance decomposition. Recent study reveals potentially marked decomposition enhancing effect of high temperatures in bare peat and in planted soils where vegetaion canopy leaves soil exposed to sun (Jauhiainen et al. 2014). Maybe the largest carbon sources in tropical peat are formed by plantations, in which Acacia plantations (pulp tree) and oil palm plantations (vegetable oil) cover the largest areas. According to Hooijer et al. 2010, Indonesia’s peatlands drained for agriculture and plantation production (some of which have become abandoned mismanaged areas) release every year about 2,000 million tons of CO2. This carbon outflow to the atmosphere elected this country at position of third largest emitting nation in the global green house gas emission statistics, immediately behind the leading USA (5,783 Mt) and China (4,140 Mt) in the year 2003. If the emissions from drained peatlands are ignored, Indonesia would have been 21st in these statistics with 295 Mt CO2 emissions, and this position would be resulted basically from use of fossil fuels. It has been estimated that drainage and drainage related fires release up to 100 tons of carbon dioxide per hectare annually. This would lead to 700 million tons CO2 release every year from the 7 million hectares cultivated peatlands established in the Southeast Asia. Fire is been still largely used in land clearance for cropping vegetation and escaped fires cause repeatedly large CO2 emissions almost every year. For example, it has been estimated the peat fires raged in Indonesia have freed 3,000-9,400 million tons of carbon dioxide into the atmosphere in 1997-1998, which is comparable with 15 – 40% of the global fossil fuel emissions in that year. At that time the global atmospheric CO2 concentration had the largest ever measured increase since the follow-up measurements started in 1950’s; statistically about half of that record CO2 rise can be explained by fires that smouldered half year in peatlands of Southeast Asia. Fire-break preventing fires to escape from degraded peat into drainage affected forest next to it. Valuable materials, timber, rattan, natural gum and many medicinal plants, have been collected from peat swamp forests in Southeast Asia at least several hundred years. The shallow peat forest margins near rivers have been used in cultivation. 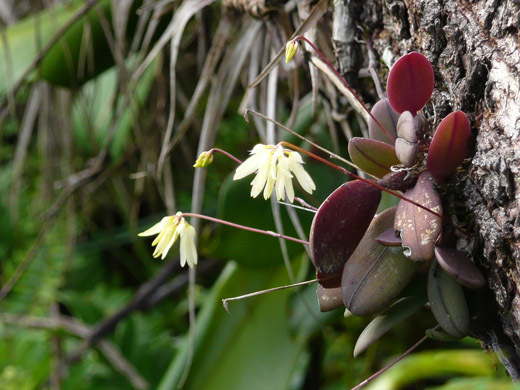 The growth of human population has compelled during the last few decades to take to the cultivation more distant locations inside peat swamps, even if the peat productivity is low in acidic and nutrient poor peat substrate. Large peat swamp areas may need be used as production land also in the future but their limitations and the consequences of the use must be considered. The present use of tropical peatlands is unsustainable. The operational life time of reclaimed peat is determined largely by the depth and intensity of drainage, fires and the thickness of the peat layer. The subsidence of peat in warm humid climate will be about 5 cm per year even after 20 years from initial drainage. Because of the subsidence the production possibilities can last only for a few decades before infertile subsoil is reached – in many places on coastal areas, eventually, salty water and poisonous sulphate subsoil stop further land use. The best lasting alternatives of the use of tropical peat swamp forests have been proven to be light selective felling performed without drainage and also cultivation by plants which can survive in relatively wet soil.